Portland Timbers beat the Seattle Sounders. Soundly. If you follow soccer you know there is a special flavor to winning when it is against the local rival. Beating your fiercest rival may mean more than winning the championship. Especially if your team is the underdog and doesn’t have what it takes to win the championship in the first place. 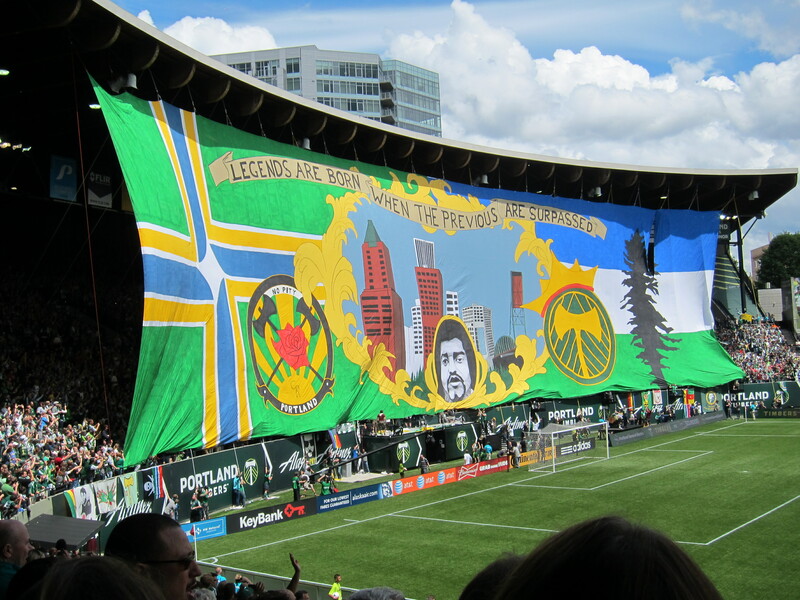 So is the story of the Timbers in the MLS and in particular the flavor of this June 24th 2012 game against their closest rivals, the Seattle Sounders. I have a passion for soccer. 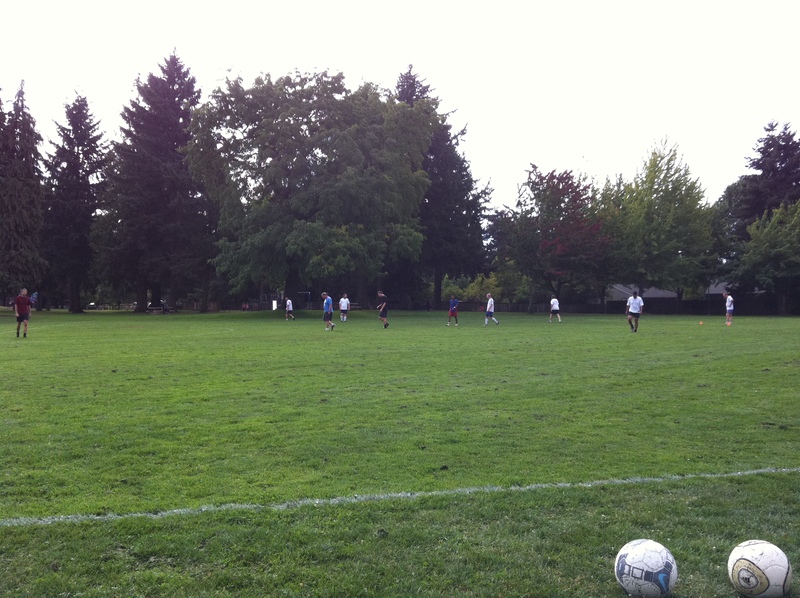 I like playing the game and in a park in my neighborhood there is a nice soccer field where I play every Saturday morning in the summer months. As a matter of fact, I’m writing this post on a Saturday morning and in about an hour I will be there, playing this most popular sport on earth. I like watching the game being played. When I’m walking by the park and there is a game going on, it doesn’t matter who is playing the game, it could be some neighborhood kids, a pick up game, or it could be a game organized by the city league. It doesn’t matter, I feel compelled to stop and watch the game, I get completely absorbed by the experience. And like almost every guy around the world, I have an unmovable loyalty set with one soccer team. In my case, it is Grêmio, from Porto Alegre. Grêmio is the 1983 world champion team when, as the 1982 South American champion, they beat Germany’s Hamburg, the 1982 European champion. 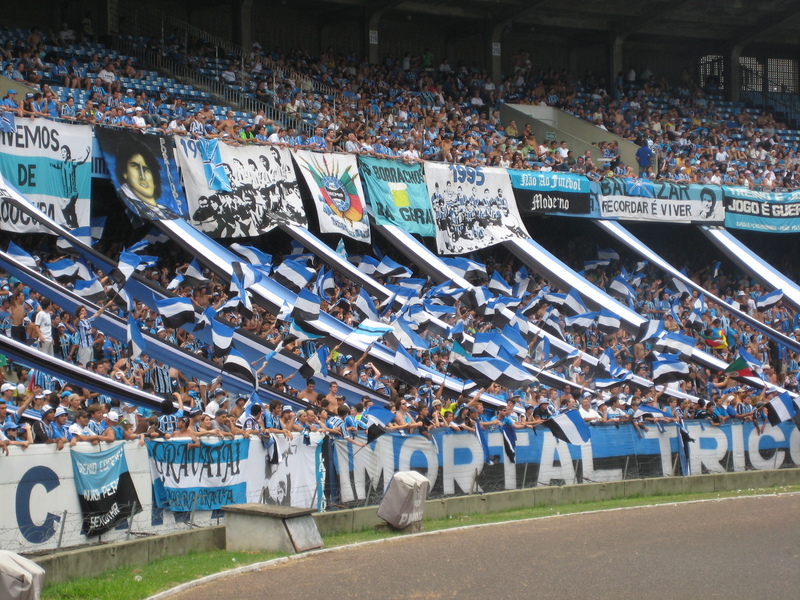 For that and for many other reasons, Grêmio happens to be the best soccer team in the world, in my view. Each time I go to Brazil, I try to attend one of their games. Despite my passion for the game, I’ve been slow to follow league soccer here in the United States. The United States highest soccer league, the Major League Soccer (MLS) is maturing and expanding. Hopefully. When I lived in Ohio, there was the Columbus Crew, a team that was born at the start of the MLS league in 1996. I went to a few of their games and somehow did not connect with that team. I moved to Oregon in 2005 and the Timbers, a Portland team, was not in the MLS yet. They joined the major league last year and thanks to my great friend Chris who has season tickets, I attended one of their games, the one against the New York Red Bull, with famous Thierry Henry on the field. What a treat it was to see him play. The Timbers struggled last year. But this one game I attended in 2011 was special. 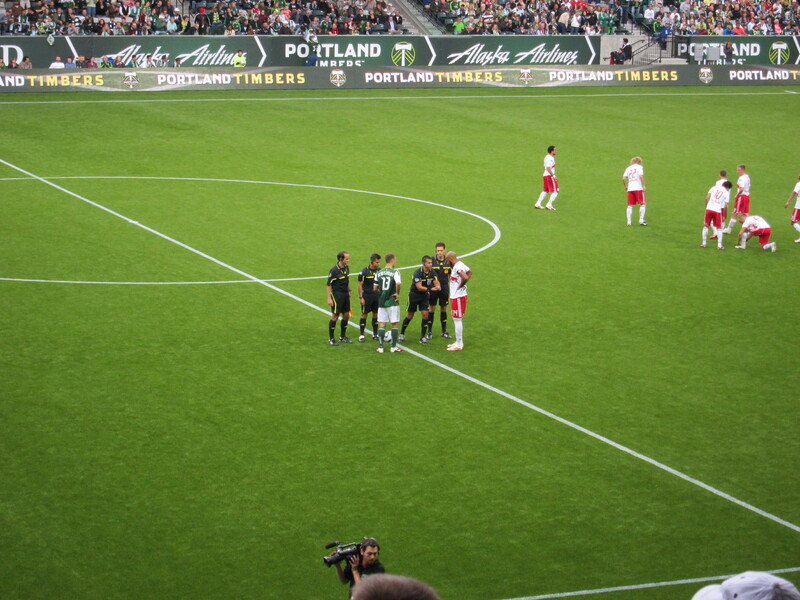 After ending the first half at a 0 x 2 loss to the New York Red Bull, one of the strongest teams on the league that year, the Timbers came back for the second half of that game as a changed team. They scored three goals on the second half and were set for what one could call a miracle 3 x 2 win, if it wasn’t for an immature defense mistake on the dying minutes of the game. The left back, in the few last minutes of the game, by not disposing of a ball properly, allowed the Red Bull right wing to win it, run to the end line, cross it on the box for what was a lone attacking attempt by the Red Bull at that time of the game, and they converted it into a score. The Red Bull had been completely dominated on the second half, with a taste of humiliation even, considering the powerhouse the Red Bull represented. In the end, for the Timbers, that 3 x 3 draw had the taste of a loss. Because on that second half the Timbers played in such a way that they could be defined as a strong, confident, winning team. From what I witnessed that day, if they played all games at the level they played on the second half of that game in June 19th, 2011, they would probably climb higher on the rankings. Fast track to June 24th, 2012. Almost exactly one year later, and thanks again to Chris, last weekend I went to another Timbers game, this time against the Seattle Sounders. This is a Pacific Northwest derby, a Cascadia Cup game, where teams from Seattle, Vancouver (Canada) and Portland exercise their rivalry. That on itself made the game special. And the Seattle team was the favorite team to win playing the Timbers. That because Seattle has been around for a longer time and the Timbers entered that game ranked dead last (well, tied in points at last place with FC Dallas) on the western conference of the MLS. If someone doesn’t know what had happened between June 19th 2011 and June 24th 2012, they could easily say the Timbers started this June 24th game against the Sounders exactly where they had left things off at the second half of that June 19th game against the New York Red Bulls. However, one year had passed between these two games. And despite keeping the same team coach, the 2012 Timbers team has almost completely changed its roster of players. Most importantly, the Timbers have not left the bottom area of the MLS ranking. However, the first half of this game against the Seattle Sounders showed a team that played to win, reminding me of that second half against the Red Bulls. At the end of the first half, the Timbers were convincingly winning at a 2 x 0 score against the Sounders. Although the Sounders scored a goal on the second half, they did not show enough plying power to revert the result of the match. The Timbers were maintaining a strong presence on the field, and keeping the Sounders from creating too many opportunities for scoring. The final score of the game told the real story of what happened in the field that day. The Timbers were superior without a doubt. 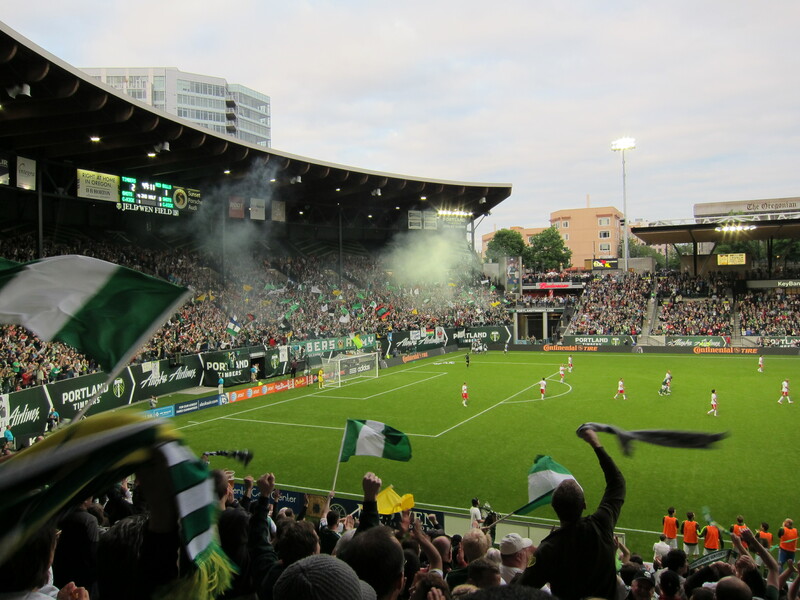 Like on that June 19th 2011 game, the Timbers had shown they were there to win. I witnessed a team with confidence, strength, and a desire to win. 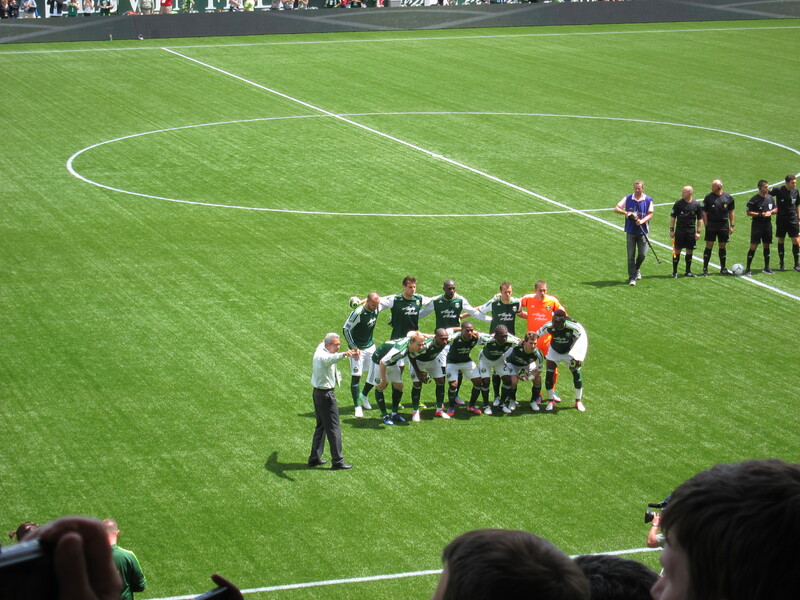 But I haven’t followed the Timbers at all since that game I saw in 2011 until this game in 2012. Their poor standings on the Western Conference of the MLS, 8th out of the nine teams, including the three points of this last win, shows that the actual overall story of the Timbers may be different than what I witnessed on these two games. It still is a struggling team. But who knows, it is on its second year at the MLS, and maybe the losing chapter will end. They have found a formula for success, it appears, only if they can apply themselves on all games they play the way I saw them play these two games. 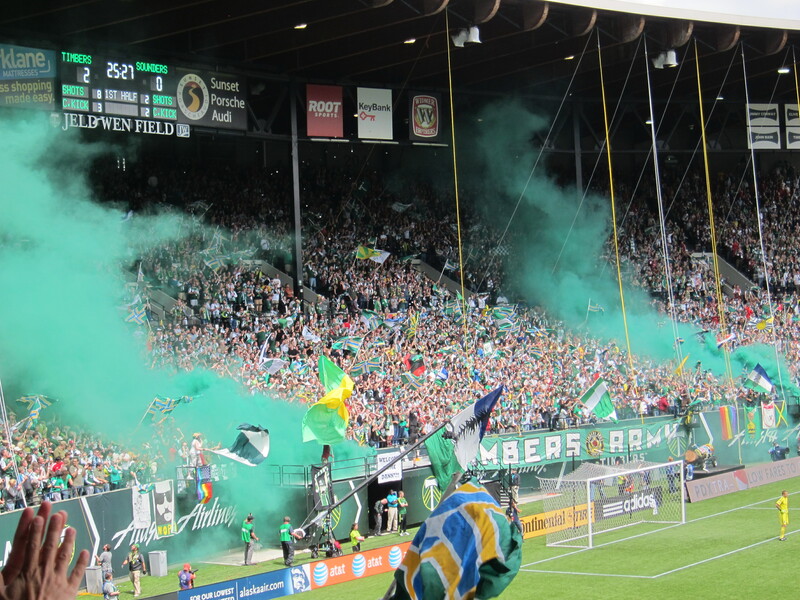 Of course, about this last game, one has to keep in mind that derby games always bring the highest competitive energy into a game, which may have been what fueled the Timbers on this game. But I think irrespective of that, they showed talent, a game plan, besides the will for a win. What will happen in the future I don’t know. But whatever it will be, it won’t be on the account of a lack of support from the fans. 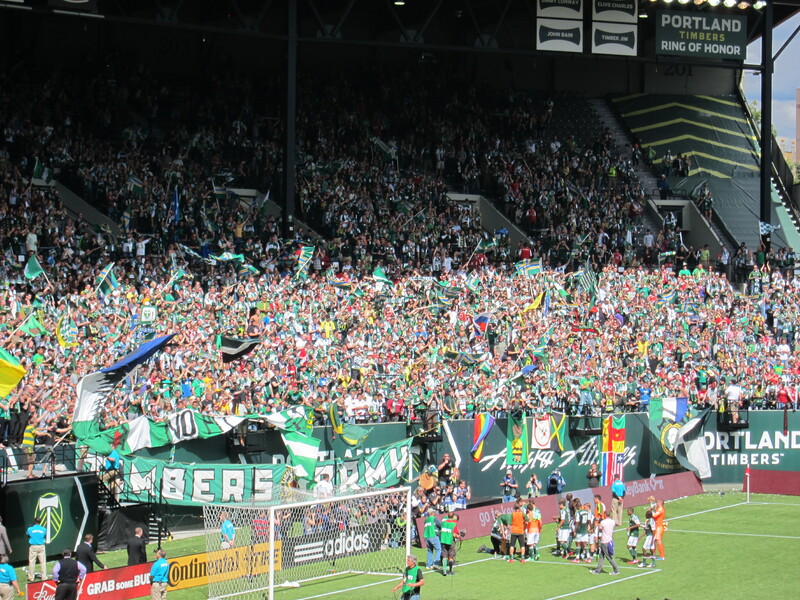 Timbers fans are very enthusiastic, and it is quite the experience to witness their engagement, singing and supporting the players during the entire game. Like a real hooligan, but well behaved crowd, if that is a possible scenario to be imagined. I enjoyed seeing this team play these two times and I feel I’m connecting with them. Knowing they will never surpass Grêmio in terms of my loyalty, I’m looking forward to the next time I will see them play. 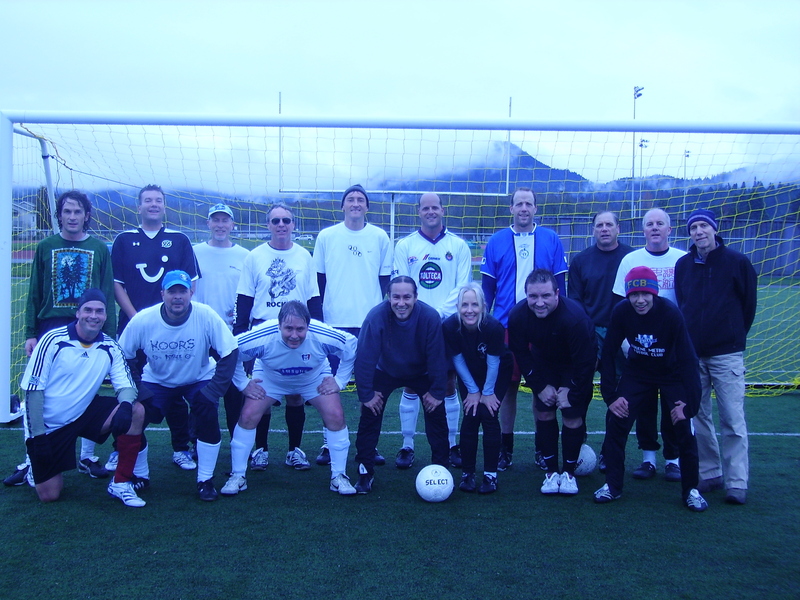 This entry was posted in Soccer and tagged Gremio, Portland Timbers, Soccer. Bookmark the permalink. 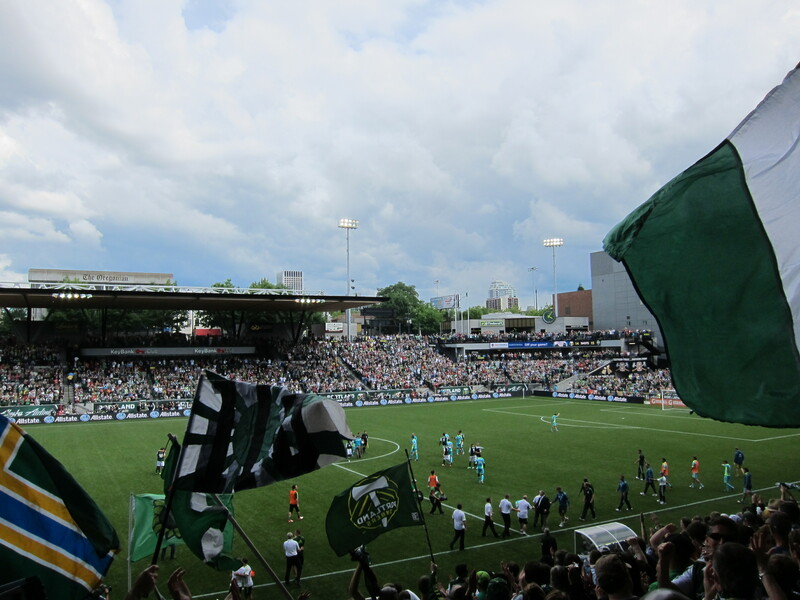 8 Responses to Portland Timbers beat the Seattle Sounders. Soundly. Don’t forget the second division title…. No I will never forget that title, which was a great title, by the way, and the final game was of historical proportions. I know exactly where I was when that game took place. It seems you guys are jealous and envious of that title, since you keep talking about it. That final was one of the best games in history. And it reinforced the notion of the “imortal”. Thank you for reminding me of that game. I even have the DVD of that game. João, enjoy Spain, it will certainly be a great place to see the final UEFA game tomorrow (Spain vs Italy), together with all the Spanish fans, perhaps outdoors with a cold beer? Have fun! Soccer, or football as they say (and rightly so) in the rest of the world, has been one of my favourite games since school days. I still follow my home team, and international championships, while I couldn’t care less for baseball (yawn!) or hockey (too brutal), or this thing they call football over here, where armoured men carry a a leather egg around in their hands. Sunday will be the European Championship Final, and it will hopefully be eye candy. I saw the end of the Germany vs Italy game, a couple of days ago. It had quite a great finale. The final tomorrow, Italy vs Spain will be a great game to watch. Great comments and pictures Cesar. Now, if only the Timbers can muster the same energy against other teams… something to hope for. Enjoy the final today. Spain waiting for the beautiful opportunity and Italy hoping to shoot on target. Thanks Chris. I think it is just a question of time and the Timbers will be climbing their way up from the bottom of the charts. But like everywhere in the world, only teams with deep pocket$ are consistently on the top. Now that Spain x Italy game was quite a surprise, bot in terms of the result, but in terms of the final score. Nice to read your thoughts about the Timbers. Been a long time since we watched some World Cup games together. Next time you catch a game lets get together before. Bill Briare, Chris’ other friend. Nice to hear from you. Yes, definitely, let’s get together next time I’m in town to see the Timbers play. I think they played well against the Sounders, they can make it happen.